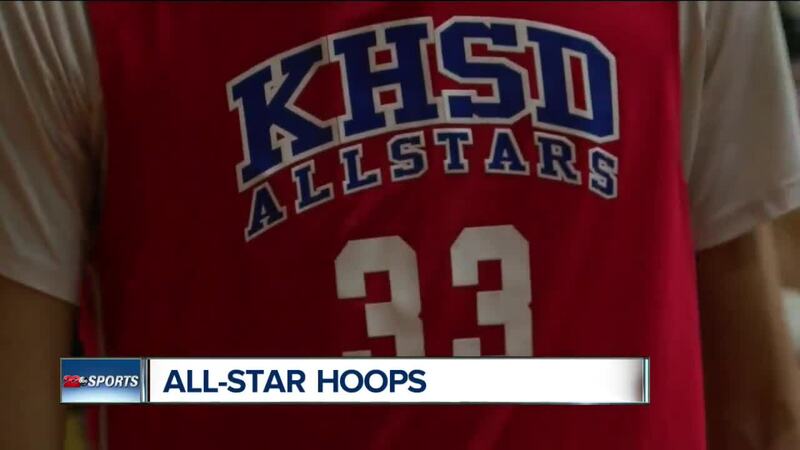 BAKERSFIELD, Calif. — Teammates and former competitors met on the court for one last time in high school for the 2019 KHSD all-star basketball game. Top seniors put on one final show for a girls and boys games. The red sqaud beat the blue squad in the boy's game, 92-84. In the girl's game, the black squad defeated the white squad 55-50.